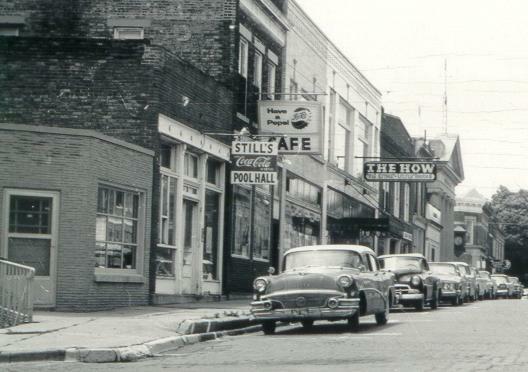 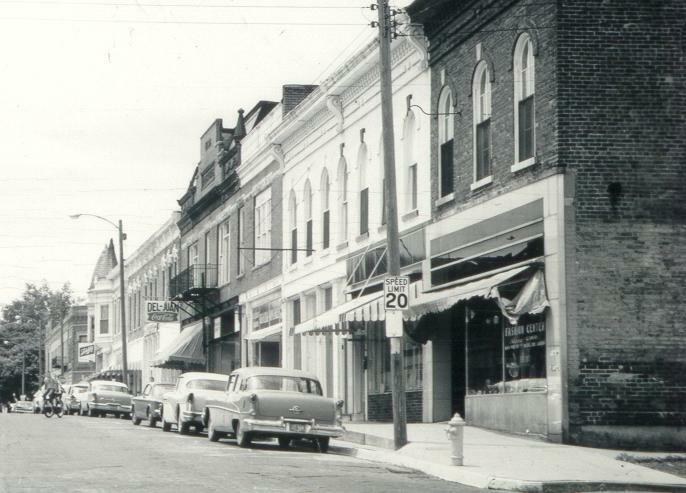 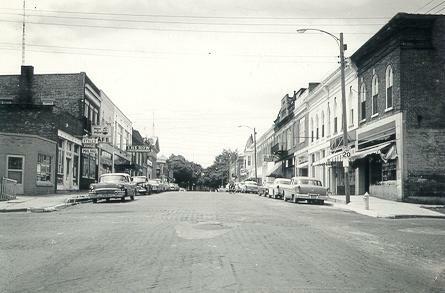 1950s era photograph of Center street.Note the Great Still's Pool Hall Sign,The How sign.Across the street is the Del-Juan Restaurant and the"Fashion Center"in the corner store.You can see 2 boys on 1 bike in the street.It was a perfect small Illinois town.This photo is proof of that. . .